Open Minded Debate: Is Tribalism a Problem in the Somali Diaspora? Every month, the Anti Tribalism Movement hosts a debate that allows people to contribute to a positive, constructive and enlightening discussion about an issue that affects our community. These Open Minded Debates have allowed those who take part to air their concerns in front of a group of panelists in an effort to work toward potential resolutions. Last week, SOAS university welcomed the first OMD of 2018. 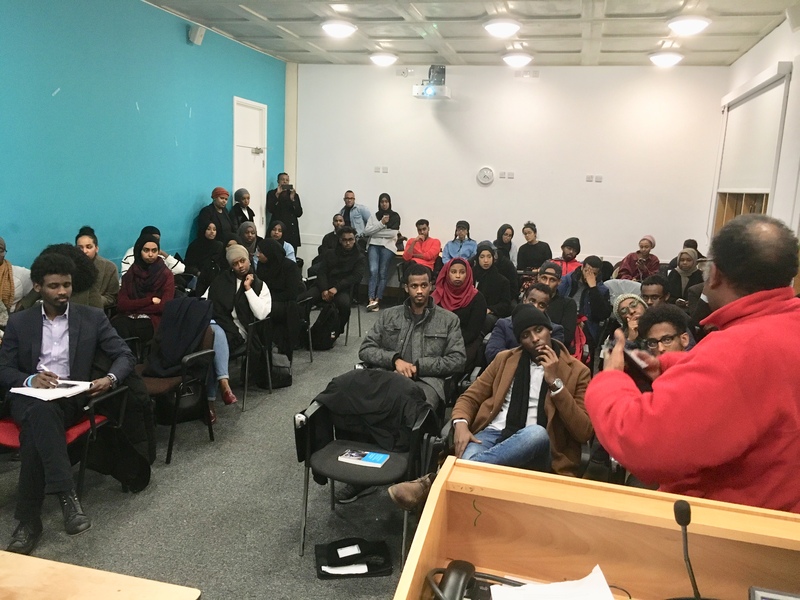 The topic for January’s debate was ‘is tribalism a problem in the Somali diaspora’. Tribalism remains deeply embedded within Somali community; meaning people in the diaspora can feel its residual effects. In Somalia, clans are evenly represented in the nation’s parliament through the 4.5 formulas, whereby the four dominant clans are given ¼ representation while marginalized clans are given the remaining half. Many view this as illegitimate, favouring clan politicians who use tribalism to further their own agenda. 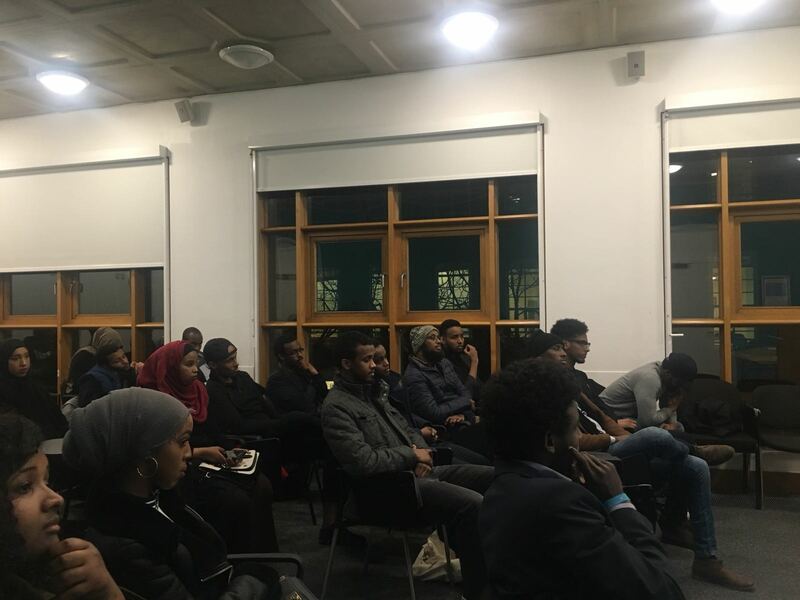 At last week’s OMD, the goal was to discuss the impact of this political clanism on the country, the role of tribes in the peace-process of Somalia and, most importantly, whether tribalism remains a problem in the Somali diaspora. The debate was headed up by two panelists: Dr Yusuf Sheikh Omar, Research Associate at SOAS university and a peace and reconciliation practitioner in Somalia; and Adam Matan, managing director of Anti-Tribalism Movement and an expert on conflict resolution, tribalism and community leadership. Matan, who felt the first step towards it must entail the deconstruction of myths and narratives surrounding tribalism, echoed this. It is an issue deeply entrenched with communities, so building bonds between different groups will require a shift in mindset. Ultimately, to diminish the divisions between tribes and clans will require the cooperation of all Somalis, both at home and in the diaspora. ‘We need to work together to fight against discrimination in the Somali community,’ Matan concluded. If you would like to attend next month’s Open Minded Debate, be sure to check our Facebook page for updates about February’s event. Filmmakers Mohamud Yusuf Mussa and Yasin Mohamed’s documentary, See..
© 2019 Copyright Anti Tribalism Movement : The ATM. All Rights Reserved.